When you create your SaaS product, you probably have a very clear picture of how it will change people’s lives, revolutionize the industry and make the world a better place. And you’re probably right – your product has a potential to change someone’s life. In the meantime, the majority of people (including those who would need your service the most) can’t see this as clearly as you. If customers fail to understand your product, they’ll go away immediately. If they don’t see the benefit, they’ll go away even faster. Which leaves you with no other options but to communicate your vision to your customers. You should help them understand why they need your product to achieve success for your own business to grow and prosper. Customer communication comes in many shapes and sizes – from a friendly letter to welcome a new user to something like The Ritz-Carlton’s customer service where they will deliver you the charger you forgot in their suite, and also add an extra one just in case. While we’re probably not ready yet to send our customer chargers, it’s in our power to make that welcome letter remarkable. So, let’s elaborate on what customer communication is and how you can improve it at your SaaS company. So, what is customer communication, after all? By customer communication, we understand virtually all the ways you choose to have a conversation with your customers. The most popular direct communication channels are phone calls, emails and chats. That’s where all the talking usually happens. Which poses a real question – how can SaaS companies make their communications with customers personalized and meaningful, while also managing them efficiently? There are various ways of how your customers will try to reach out to you. They will message you on Twitter and Facebook, connect with you on LinkedIn, they will send their frustration to your customer support team, they will write you direct emails and so on. Moreover, you too will be targeting them with automated emails, sending push notifications and in-app messages and trying to initiate a conversation by all means. At the end of the day, all communication strategies come down to one thing – you should be able to communicate with your users freely, gather their feedback at any stage and provide all the information they may need instantly. It’s very important to know all the places where your customers can try reaching out to you and keep an eye on them. Just remember that once a person reached out to your via a particular channel, it’s always better to continue your conversation there and not switch to other places. As we’ve already established, your customer communications will be happening across many channels simultaneously. And yes, it can be challenging to keep up with this flow. The thing is, these days there’s no need to use more than one tool to manage your customer communications as there are universal all-in-one customer communication platforms where you can store all your contacts, talk to your clients via chat and do email marketing. All in one dashboard. 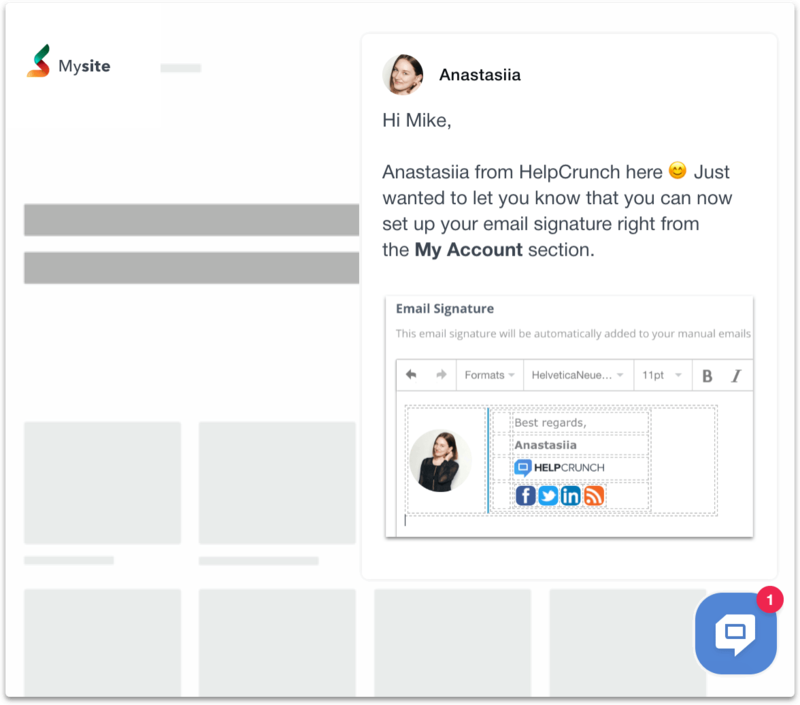 We created HelpCrunch with this simple idea in mind – one tool for multiple communication channels. That’s why we combined a live chat tool with an easy-to-manage help desk, then threw in an email automation feature – and got a high end customer communication platform as a result. Just recently, we’ve conducted a case study about one of our clients and how they were able to manage all their customer communication channels with one tool. SE Ranking is an all-in-one SEO tool. Closing 1,5K chats monthly, their customer support team had to use five different tools to manage live chats, tickets, in-app messages, triggered auto messages and email automation. That’s before the switch to HelpCrunch. After the switch? All land in one place, the sales and support teams can efficiently cooperate, and an overall customer service performance improved by 40%. Have you ever called some company’s tech support only to hear the “your call is very important for us, so please continue to hold” message? Then you probably know how painful all the waiting can be. These days, the overwhelming 79% of consumers prefer live chat customer support over email or phone. 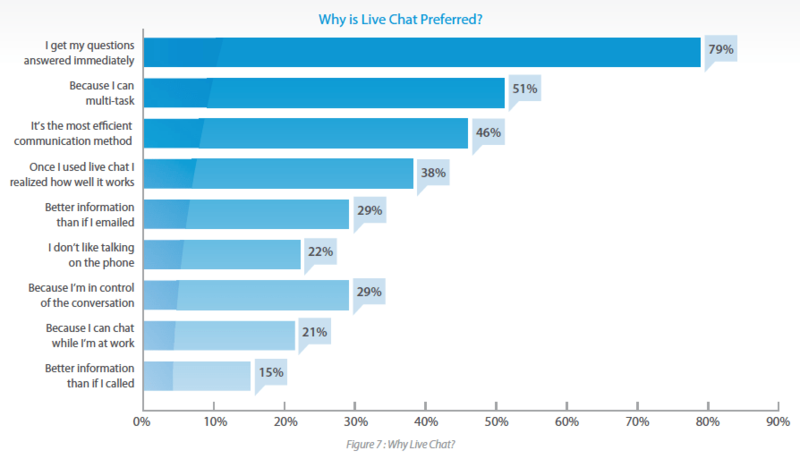 Because of how fast and convenient live chat help is, customer satisfaction rates are also higher for this support channel in comparison to all the others. While people name all kinds of reasons they prefer live chat, there’s no escaping the fact that it’s becoming a high-end customer communication point. All you need is the right tool and a couple of dedicated employees. Emails have become somewhat of the golden standard for reaching out to customers and subscribers. First, we’re obsessed with capturing people’s emails, then we’re actively sending any news, update or blog post to their inboxes. But what if I tell you there’s a much better way to announce your product updates? You can check this article with some awesome feature announcement examples, but here’s one piece of advice from me. People who already use your product are the ones who care about its updates the most, right? So it makes sense to reach them directly while they’re using your service. You can do just that by sending in-app messages to them. This way, you will establish an additional customer communication channel – quick, efficient, personalized. This instantly leads to higher user engagement and allows to get user feedback instantly. Once we began sending features announcements via chat, we’ve got tons of immediate responses about those features and, what is important to us, suggestions for what else we can do. – Marketing team lead @ SE Ranking. On the other end of this spectrum lies personalization. We’re all sending out tons of automated emails and in-app notifications to our customers, but there’s always a way to make them personal. Just adding a name or company attribute that will be automatically pulled out from your database will do. A Conversocial study found that 46.7% of respondents indicated that a personalized response would increase brand loyalty. Everybody wants to feel important. Customer communication can be tricky. You can put all your efforts into them, try your best, do everything in your power – and still get nothing in return – no messages, no anything. If you want to know for sure how your customer communication strategy is going, you just ask. Even if you feel like you’re doing everything right and getting the most out of your efforts, it’s still important to constantly collect customer feedback and learn from it. Such insights are the ultimate evaluation of your customer communication campaigns. Luckily, there are various ways to do just that. 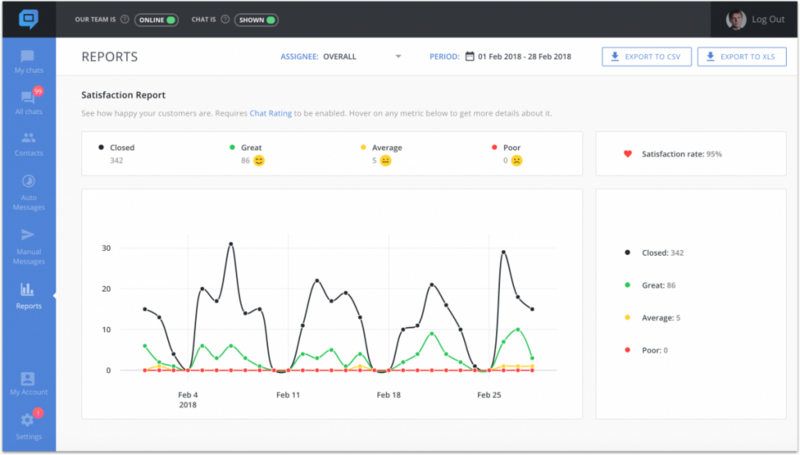 You can send your users a large-scale survey via email, track your social media mentions, add a built-in customer feedback widget to your website – the choice is yours. The only thing is, you don’t want to annoy your customers, so better make it quick. For instance, we at HelpCrunch has this feature called ‘Chat rating’. If you turn it on, your customer will receive a message asking them to rate their experience at the end of a live chat conversation. We’ve made it as quick and convenient as possible – they just need to choose one of the three emojis, that’s all. These are five customer communication tactics that we at HelpCrunch tested and found effective. Do you have your own tips on how to communicate with customers more efficiently? Feel free to share them with us in the comment section.